hello, I was learning how to make games for mega drive (sega genesis) and so I did some games. 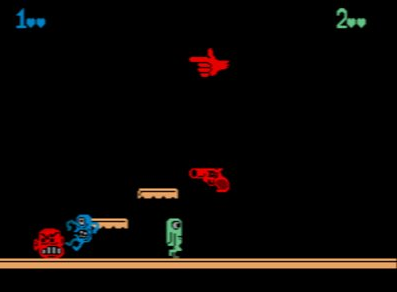 this is my third game, the name of the game is two cyclops, a run-jump-avoid the obstacles game. it has 9 levels and you can play with 1 or 2 players. you can download the rom at the description of the video (it is a google drive link - TwoCyclops-v19-2018.bin). Not bad. A little simple, but simple games can be fun. I have to improve my pixel art to make a game with better graphics. 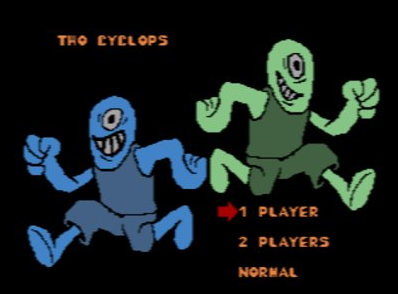 You can add a timer for each cyclop for a time attack mode, it would be fun and easy to do. Vetea, I will think about what you said on attacking some enemies. the two cyclops game has secret characters.. anyone find it? must use a secret code to activate them. Just to inform that I added a link to the description of the trailer of the game containing all the code of Two Cyclops. Two Cyclops was made using BEX. There are two BEX files, one to compile the game with sound and the other without sound. Cool. Good to see more code out there, even if it's for BEX.